As 2012 draws to a close racing fans are beginning to see the light at the end of the long tunnel that is the off season. MotoGP begins testing at the end of January and the first round of the World Superbike Championship kicks off around a month later. The majority of the rides for next season are all taken, with many of the big names in motorcycle racing having found a home for 2013. 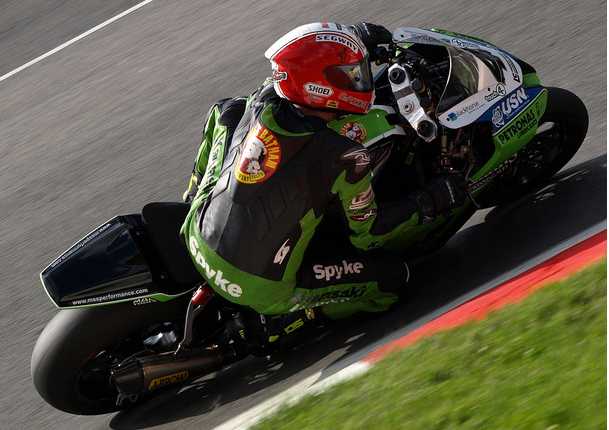 However silly season is not over just yet, there are still seats available in British Superbikes and perhaps even on the World Superbike scene. Currently there are only 16 riders confirmed on the World Superbike grid for 2013. In 2012, the WSBK grid was small, however the original entry list had 24 riders on it and this figure didn’t drop below 20 throughout the season. It is difficult to see where any more rides in World Superbikes would come from, in 2012 there were 14 WSBK teams, currently for 2013 there are 9. There are at least three teams who were on the grid in 2012 that won’t be continuing to next year: The ParkinGo squad who ran Chaz Davies on an Aprilia, they are now heading back to World Supersport to spearhead an MV Augusta attack on the title with Christian Iddon. The BMW Motorrad team who have transferred factory status to the BMW Italia team and PATA Racing Ducati, who have taken their money to Ten Kate Honda. Although, there are two new teams, the most prominent of these being the return of Francis Batta’s Alstare squad who have taken over the lead Ducati team and another squad set to run the 1199 Pangiale, MR Ducati with Max Neukirchner. up for BSB 2013… yet. In BSB, we are a little ahead of ourselves in terms of rider signings compared to last year with all major teams having both riders signed up for the season ahead. By ‘main teams’ we mean Shaun Muir’s Yamaha Squad (now Milwaukee Yamaha), Samsung Honda, Tyco Suzuki and Paul Bird Kawasaki. This time last year neither Shaun Muir’s squad or Samsung Honda had signed both riders. One team prominent in 2012 not currently on the 2013 entry list is Supersonic BMW, the former World Superbike outfit struggling to find backers for next year despite a link to MV Augusta, leaving showdown man Tommy Bridewell out in the cold. 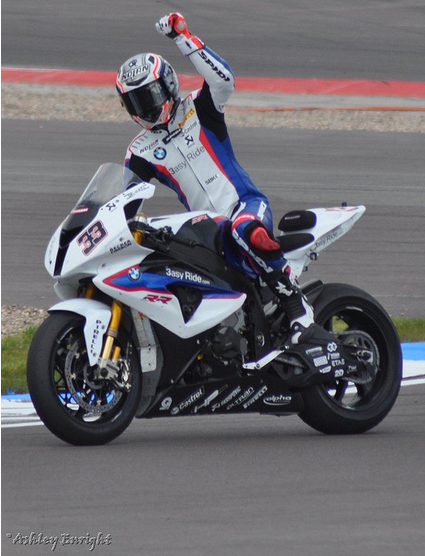 Should Supersonic not manage to find some cash, one option for the West Country boy is to return to the team he rode for in 2010/11, Quay Garage Racing, who took a year out in 2012 however are expected to be back for next season. However the Ian Woollacott owned squad is a team popular with many riders so their line up could be a true surprise, perhaps Gary Mason? Patric Muff? Ian Lowry? Michael Rutter? Although Rutter has been linked to a return with the team he recently won at Macau with, SMT Honda with backing yet again from Batham’s brewery. Another team expected to return for 2013 are MotoRapido Ducati who claim an announcement is imminent, one suggestion we were sent on Twitter was Gary Mason however team owner Steve Moore is keeping his lips tightly sealed. Martin Jessopp is also rumoured to be returning to BSB on a Ducati… Padgetts had signalled an intention to run in BSB for 2013 however seem to have gone quiet recently. Michael Howarth had said he would be running a two man Kawasaki team in 2013 and had intentions to announce a rider line up at Motorcycle Live which has been and gone. Plans announced by Moto GB to run 2 MV Augusta’s seem to have gone quiet, although recent rumour would place Jack Valentine managing the new outfit. Stuart Higgs has promised there are still surprises to come… so we’ll have to wait and see. You can keep up to date with all the latest signings here on PaddockChatter.com and by following @PaddockChatter on twitter! No mention of Jack Valentine returning. Read somewhere that Ian Lowry would not be racing in 2013. Does anyone know why he left Brands at final round without competing? Relationship with Padgetts seemed OK? Typical lowry-he was better than the bike apparently!